When I saw this book up for review, I knew I had to have it. We have three girls, and the two younger ones LOVE to pretend to Princesses & are obsessed with all things having to do with Princess things, so, I was more than excited to read this book. This book certainly does not disappoint and I really enjoyed reading it. 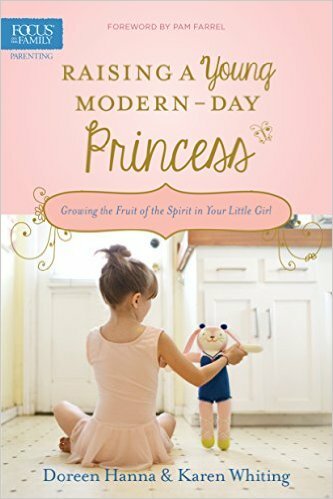 I've got to admit....there are a TON of parenting books out there, but this one is so very unique because it's main focus is on the fruits of the spirit and helps show you how to mold your daughter into a TRUE Princess(of Jesus Christ). This book focuses on helping to instill the true characteristics of a Princess and help her be all that she can be. This book is filled with great stories, activities for both mom & dad to be involved in, as well as great tips. I recommend this book to anyone who has a daughter, step-daughter, or those who are raising their granddaughters, nieces, etc.